Applause, champagne, and celebration for the Seabourn Ovation. The fifth ship in Seabourn's fleet has her naming ceremony May 11, 2018, officially joining the line's award-winning Odyssey-class ships. The launch of the Ovation is the finale of Seabourn's current expansion plans. Now, the five Seabourn ships: Ovation, Encore, Quest, Sojourn and Odyssey, represent one of the most modern and consistent fleets in ultra-luxury cruising. Like her sister ships, sailing on the Seabourn Ovation is like sailing on a private yacht – but with experiences even private yacht travelers don't have the opportunity to enjoy. The Seabourn Ovation blurs the lines between private yachting and cruising. Each suite has a personal bar that is stocked according to your preferences even before you board the ship. There's an open-bar policy throughout the ship, including champagne, premium wine and spirits, so the entire ship feels like your own chartered yacht. Similiarly, all dining experiences are included. And the Ovation also includes Seabourn's signature water-sports open marina at the aft of the ship. At anchor in a secluded location on one of the world's spectacular coastlines, you'll be able to experience the extraordinary feeling of getting out onto the water right off the back of the ship. You're among only a few hundred guests on a ship that's been designed to maximize space for each guest. On the Ovation, you'll discover secluded areas for quiet contemplation as well as spaces that foster natural and easy social interaction. When you would like to share the company of the other like-minded guests, that opportunity is there, but you'll have plenty of space to relax in privacy and enjoy the peaceful sailing experience. 300 all-oceanfront suites provide that 'home away from home'/ country club resort atmosphere at sea. Every suite on the new Ovation includes a private veranda that not only provides you with sweeping views of the sea, but is also spacious enough for private, alfresco dining. Suites include indoor, spacious living space, walk-in closets, and superb marble bathrooms with separate baths and showers, stocked with Seabourn's own exclusive line of Molton Brown amenities. Design icon Adam D. Tihany was once again tapped to style a sailing, ultra-luxury resort. The Ovation's design is that of a boutique design hotel/resort that welcomes you with deluxe comfort, modern elegance and stand-out design elements and innovations. The launch of the Seabourn Ovation means there's another destination at sea to experience Seabourn's signature moments, including Caviar-in-the-Surf, and a host of one-of-a-kind partnerships. 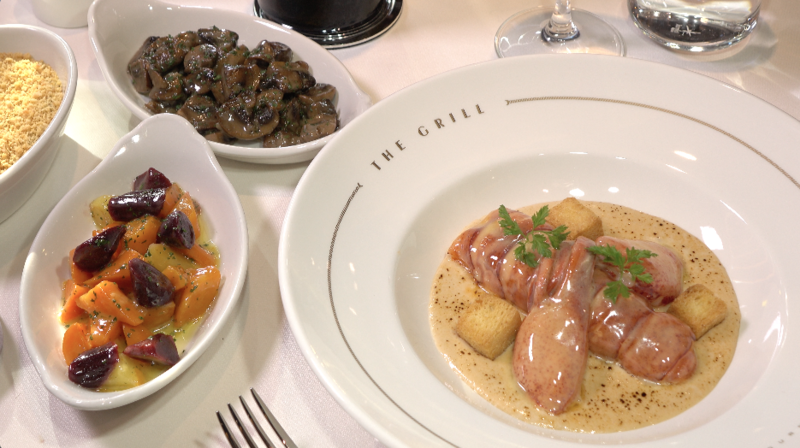 The Grill by Michelin-starred American culinary icon Thomas Keller harkens back to a mid-century upscale dining experience with table-side preparations of classics like Caesar salad and ice cream sundaes. Then attend 'An Evening with Tim Rice', where the acclaimed musical theatre lyricist's best-loved works from Jesus Christ Superstar, Aladdin, and the Lion King are punctuated by his personal anecdotes and video narrative. And on shore, enjoy purposeful and sustainable travel experiences through Seabourn's partnership with UNESCO. The Seabourn Ovation spends her inaugural season in Northern Europe on 7-day Baltic and Scandinavian itineraries, as well as 2-week voyages into the Norwegian fjords and rustic, northern British Isles. You can still be a part of the Ovation's maiden sailing season and be among the first to experience this magnificent new ship. Let us help you find the perfect Seabourn cruise for your next vacation.